I received a shipment of two wines from Cosa Obra in April but there appeared to me to be an issue with the quality of the wines possibly due to shipping. I did review the 2016 Pinot Noir Rosé (88), but the 2015 Pinot Noir was not pristine. I asked owner Gregory Hayes to re-ship in June and both wines were reviewed again. The reviews below reflect pristine examples of the two wines. 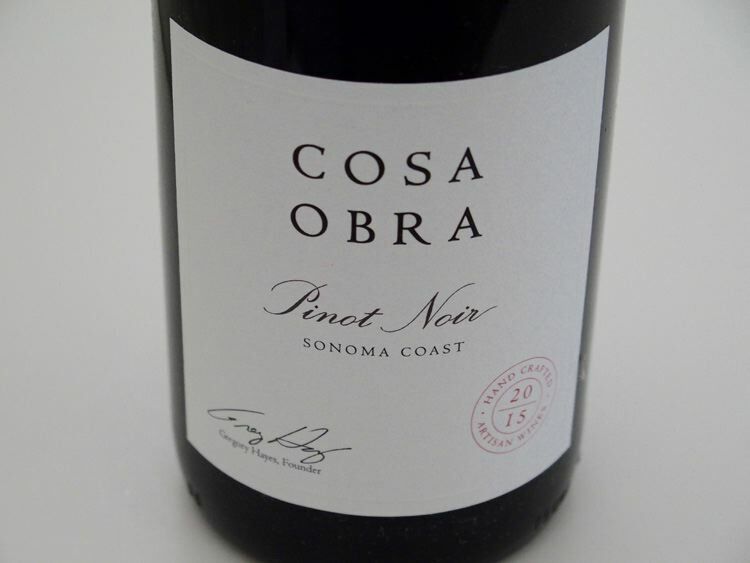 The winery’s website is www.cosaobra.com. The entire 2014 portfolio of The Donum Estate wines are adorned with new labels designed by Chinese artist, Ai Weiwei, whose Circle of Animals installation is displayed at the estate. Each year, the label will change to reflect and honor the Chinese animal zodiac, with the 2014 vintage commemorating the Year of the Horse. The Donum Estate is overseen by president and winegrower Anne Moller-Racke and the winemaker is Dan Fishman, who has been part of the winemaking team for ten years. Now celebrating its sixteenth vintage, The Donum Estate comprises 187 acres north of San Pablo Bay just off Highway 121. Donum is home to The Donum Sculpture Park, displaying sculptures from recognized global artists and can be appreciated by appointment only at 707-939-2290. Donum will soon open the Donum Home, an elegant new hospitality space located on the south side of Donum’s property with vast views of the estate vineyards, neighboring wineries, and San Pablo Bay. The intimate space will provide an ideal environment for private, personal tastings. Donum has limited distribution with about 3,000 cases, with some availability in fine retail stores and ready availability by contacting the winery or through the mailing list. The winery’s website is www.thedonumestate.com. The 2014 portfolio of wines includes the flagship Carneros Estate Grown Pinot Noir ($72), and additional single-vineyard wines including Anderson Valley Estate Grown Pinot Noir ($72), Anderson Valley Angels Camp Pinot Noir ($90), Russian River Valley Estate Grown Pinot Noir ($72), Russian River Valley Ten Oaks Pinot Noir ($72), and Carneros West Slope Pinot Noir ($90). 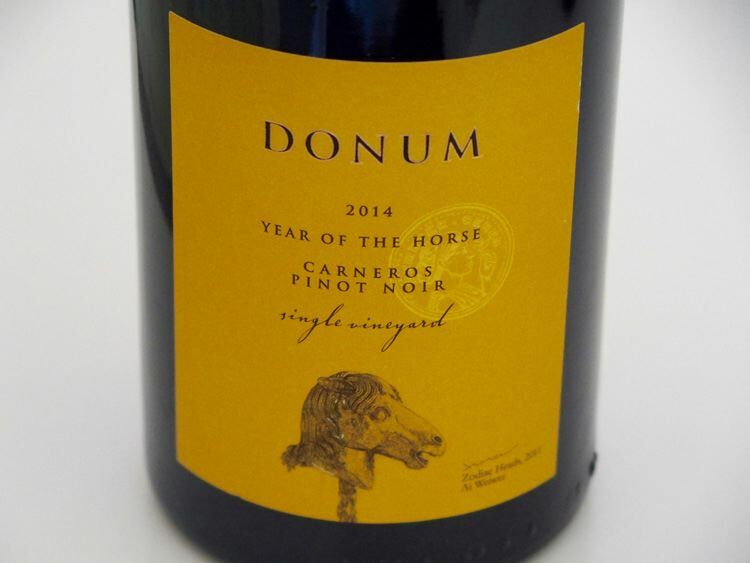 The Donum Estate Pinot Noirs are sourced from estate owned or leased vineyards and are distinctive. Grapes tend to be picked at higher Brix, the wines are broadly and richly extracted and vinified in a large percentage of new French oak barrels. 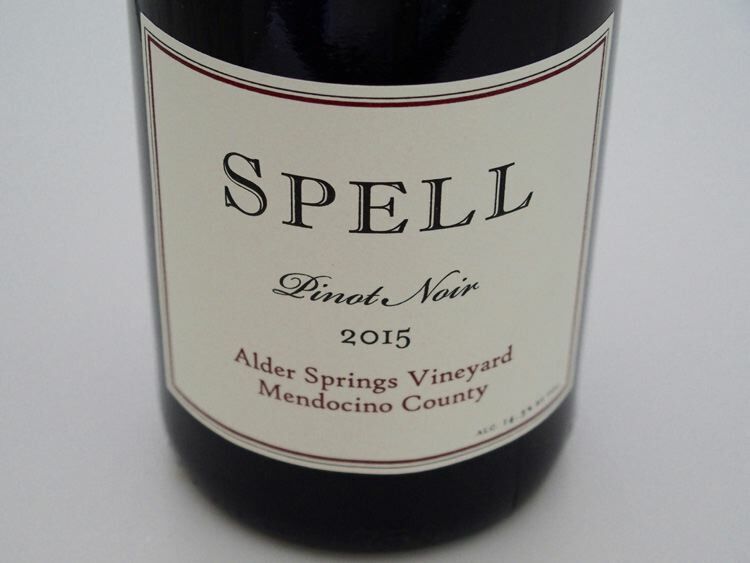 The resultant wines are voluptuous, mouth coating interpretations of Pinot Noir. There is too much oak overlay for my personal taste, but that is a stylistic choice. Chris Carter uses the most minimalist winemaking methods. He only makes two wines per year. One man, two wines. He attended University of California at Davis at the tender age of eighteen and his only jobs have been in vineyards, labs and cellars. What you find in his wines is the result of years of work and learned travels from New Zealand to Oregon to Chile to Tasmania, not some whim. 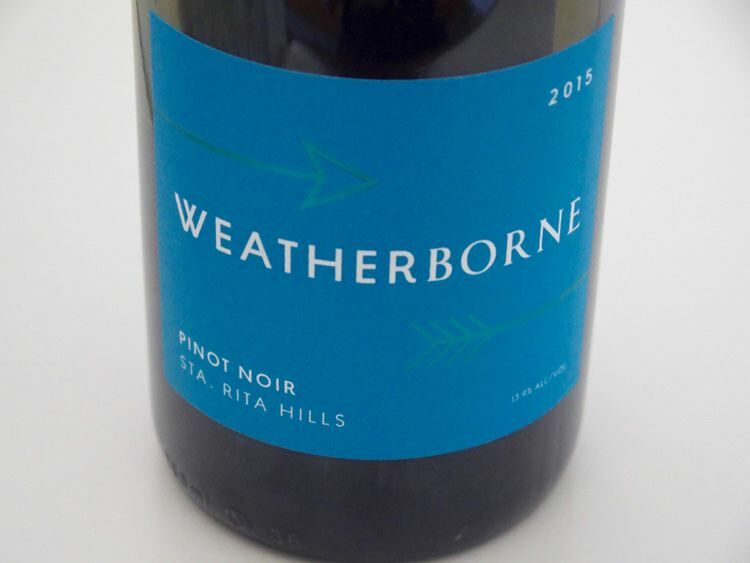 Visit www.weatherborne.com.